Offer your patrons a tasteful dish to complement your many culinary delights. 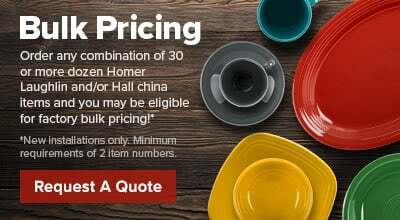 The Hall China 5270AWHA ivory (american white) 8 oz. 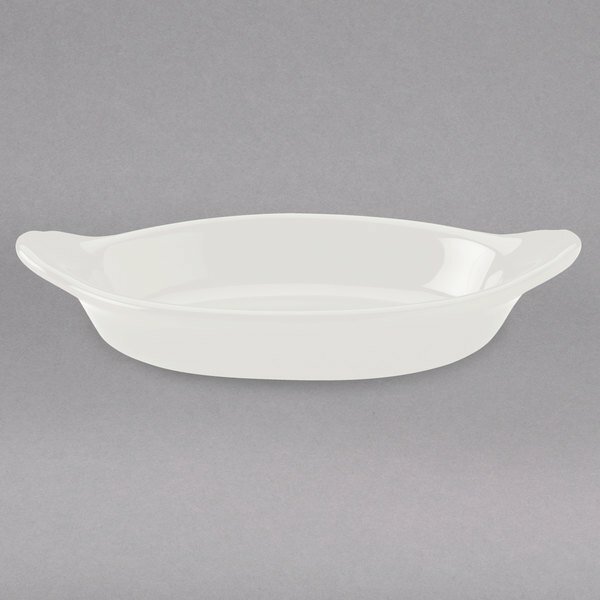 oval rarebit / au gratin dish is great for serving all au gratin recipes, broiled fish, crab cakes, and more. The high quality material and finish ensures a long, reliable life of serving and impressing hungry customers. I searched for this darn product for 20 minutes on the site before I learned they were called rarebits. We call them boats. Evidently, years ago, commoners were forbidden to shoot animals on the landowners property. Property owners ate rabbit stew and commoners ate rarebit stew. Hence, the rabbit was very rare. And evidently this piece was made for that stew. Anyway, we love this piece for side dishes. Item is just as pictured. A perfect size for any casserole's or even lasagna! This size fits well on a 9" plate. I will be purchasing these again!